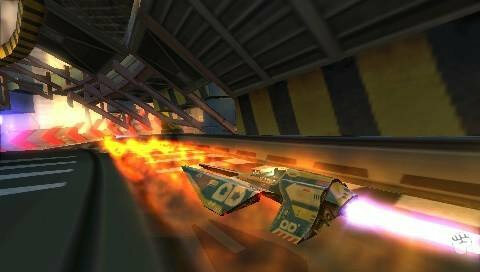 The Wipeout franchise once again zooms its way onto the PlayStation Portable that is set in the not so distant future where the gamer must pilot their futuristic ships on a variety of courses as they travel at insanely high speeds. Apart from their speed, they also have access to a plethora of weapons and equipment to assist them with their number one goal, winning the race. Of course, the crux of the title is the campaign mode where gamers must complete a variety of races and as they proceed, more races are unlocked via a hexagonal display map. The best part of Wipeout Pulse, apart from racing at high speeds is having access to the various powerups and weapons available to your racer which are used in conjunction with your racing skills to eliminate your opponent and hopefully win the face. The title also offers a variety of other gameplay modes with a new element added to the franchise called Elimination where the gamer engages in a variety of opponents in order to reach your acquired number of kills. Elimination also has a wide gamut of powerups available to the gamer, however the catch of this game mode is that players cannot repair their ships. The tracks have also been redesigned for this new incarnation as gamers can now perform some death defying loops, thanks to the magnetic strips that ensure your racer doesn't fall victim to gravity. The control system of Wipeout Pulse is a little tricky on the PlayStation as many of the tracks contain a variety of different obstacles in the way of sharp turns, however, fortunately for you, air brakes are available and most apt gamers should have no problem at navigating. The control system is perfectly mapped on the PSP with movement and combat nicely spaced and nothing feels awkward or forced. 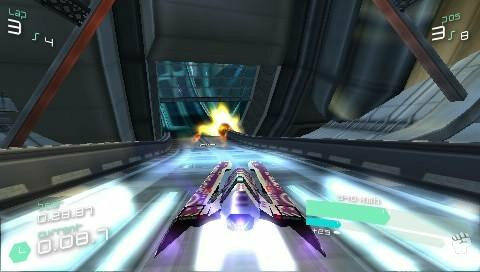 Graphically, Wipeout Pulse is almost an eye candy experience on the PSP with well designed and colourful tracks and best of all the game maintain a constant framerate which assists with the illusion of speed in the title. The ships are also more details as are the backgrounds than previous installments and add to it some great realistic and Hollywood looking explosions and the developers have really pulled out all stops. Wipeout Pulse also offers a great online mode and match that with local wireless play with up to eight players and gamers will be pleased to know that this adds much to the longevity of the title. I must admit that the online mode is great and it's definitely a consideration that should be looked into. Add in the new "Race Box" feature and gamers will be able to create their own custom tournaments and races. You can even visit the website to download additional bonuses for the game. In conclusion, Wipeout Pulse is a worth successor to the franchise that features better gameplay, improved graphics and best of all, internet gameplay that will make this one of best titles for 2008, especially for those gamers that love racers.